Mihir Shah is the Founder and CEO of iBreastExam, a device designed to detect breast cancer tumours early on. We have a brief conversation with Mihir to understand all the technological and cultural challenges associated with company's invention. Digit - About the company, the years taken to develop the device and cost/unit. 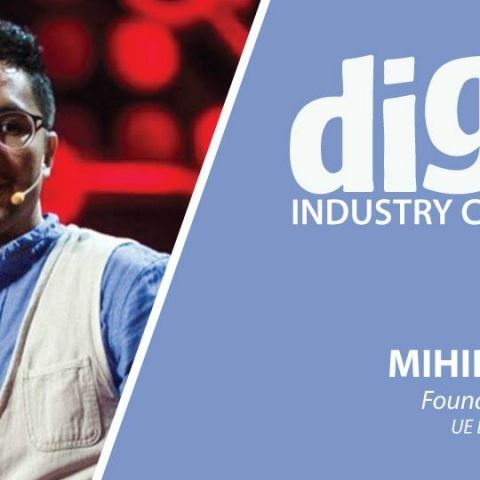 Mihir - UE LifeSciences is a growth stage medical technology start-up working to make breast cancer early detection more accessible and affordable for over a billion women that are at risk for it worldwide. Our hallmark innovation, iBreastExam, is a US FDA cleared breast examination device that’s enabling early detection of breast cancer in a whole new way. It is a tiny device that fits in the palm of the hand to provide a painless, radiation-free, clinically effective and highly affordable way to identify small lumps in the breast before it’s too late. Over 175,000 women have taken the test already in over 12 countries and it is recognized by WHO as an Innovative Health Technology. iBreastExam sensor technology has been through over five years of R&D at Drexel University materials and biomedical engineering labs with support from University City Science Center and Coulter Translational Research Program. Post that and since UE LifeSciences licensed the technology, the device has been through over four years and $1m+ of R&D and Engineering. To date, over 10,000 women have been enrolled in various clinical studies world over, to demonstrate the clinical efficacy and accuracy of iBreastExam. iBreastExam typically retails for INR 5lacs. We also offer pay-per-use and leasing models. Digit - Could you explain how the tactile sensor within the iBreastExam device functions? Mihir - iBreastExam uses an innovative sensor that can assess tissue elasticity in real time. Breast tumors are hard, like a seed inside the lemon. The patented ceramic sensor in the device can sense the tissue elasticity by converting mechanical pressure into electrical signals and by evaluating the changes in stiffness, in real-time, to provide the results instantly on the spot, without any pain or radiation. Scientists go 'Green' making hydrocarbon fuels with just water and CO2! Digit - Cancerous tumours go through multiple stages of growth, could you elaborate on what all sizes of tumours the device can detect? Mihir - In clinical studies, iBreastExam has been found to detect “non-palpable” breast lesions, meaning tumor size smaller than what can be “felt” by hand. In terms of size, the device has detected tumours as small as 3mm and above. Digit - What are the cultural challenges of making such a non-invasive device accessible to the general public? Mihir - A pivotal cultural challenge is that for the most part, we are yet not a preventive-health minded society. I think it would be easier to change that behaviour if the tests were to be more accessible, safe, affordable and really acceptable to women. Also in more general terms, the lack of awareness, societal taboos, myths and misunderstandings related to breast cancer are a few other cultural challenges. Mihir Shah is one of the speakers at the 10th Edition of TEDxGateway 2018 to be held at the DOME @ NSCI Mumbai. Is Parallel Universe a \"Reality\" ?? How Making a Video Game Works?